Dermarollers and creams after - clogging, irritating? Can weight loss make scars more prominent? 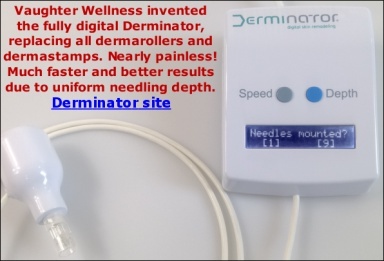 Is a 2.0mm Dermastamp dangerous? Scar from rolling too much? Suction Method - Why should it work on needled skin? Using 1.5 mm stamp. Should I be rolling too? "Thanks for making my 50th birthday a little more tolerable!"